Denied Lets Your Skip Terrible Music! Unfortunately, this statement doesn’t hold true for all kinds of music out there. There is no doubt that music has the power to free your soul and transport you to this magical world. However, at times it also has the power to make your ears bleed. To ensure that a bad song never infests your otherwise perfect playlist, there is a new app in town called Denied. With this app you no longer have to torture your eardrums with songs and tunes you wish never saw the light of day. Meet The Genius Behind It All! Conceptualized and founded by Boy van Amstel from the startup Danger Cove, Denied is your savior from distasteful music. Danger Cove makes Mac apps that aim to improve productivity, make awesome technology accessible and bring endless joy to everyone who uses them. Some of the most well known products of this startup include Porthole and AirVLC. “We’ve been around since October of 2011 and currently reside in the wonderful city of Hague in The Netherlands, in an office formerly occupied by a soap vendor”, says Boy. 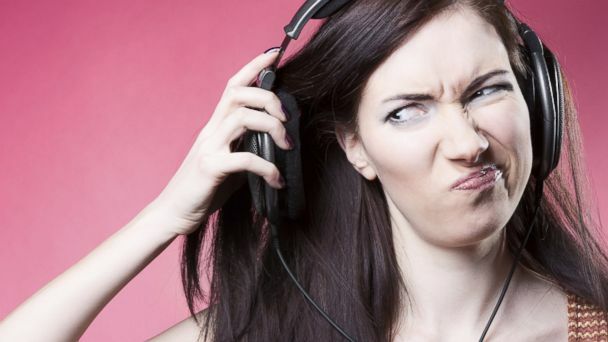 Denied saves your ears from Nickelback, album or any other band song that you can’t stand. It’s a Mac app that sees what you’re playing in Spotify, Rdio and iTunes and automatically skips songs that you dislike. Besides defining songs to skip by their artist, title or album, Denied also had additional features that take care of repeating songs and songs that are reeking with explicit cuss lyrics. Music is a very personal thing that has everything to do with taste. Some songs you absolutely love, others make you cover your ears or even bring up unwanted memories or emotions. Denied is a simple, yet very powerful solution that gives you incredible control over your music listening experience. “Everyone has a few bands, artists or songs that they just can’t stand. I often listen to Spotify Rock Radio station and some of my least favorite musicians kept ruining a perfectly good set. Obviously I needed to find a way to stop this from happening and that’s how I came up with Denied”, says Boy. On Challenges Faced & Competitors! As with most startups, getting the word out about the product was the team’s initial challenge. Marketing was particular hard as not many folks realized that automatically skipping crappy music is a need that almost everyone has. In terms of competition, there are apps in the market that block music, but there are none that does what Denied does. For Boy, the biggest competitor honestly is the ‘next song’ button that comes with most keyboards as it is a free, pre-installed way of skipping songs. However, unlike Denied, this button does not have the mechanism to automatically skip songs. The Journey Ahead, Intended Audience & More! “I’d love to be able to share my blocked song lists and browse sets that other people have created. Instead of having to manually setup a list of music you don’t like, you could just ‘download’ (and share) a list of Christmas songs or rock-bands-that-are-just-horrible”, says Boy. At the moment, the app mainly targets music enthusiasts that are quite particular about which music they listen to and those that use Spotify, Rdio or iTunes all over the globe. Since Denied also has a explicit song filter, it is also targeted at more conservative music listeners or people that want to protect the ears of those, especially children, around them. When it comes down to monetization, Denied is a paid app. It is available in the Mac App Store and through Danger Cove’s FastSpring Store. So what are you waiting for? Get yours downloaded now! With this app you no longer have to torture yourself with music you absolutely can’t stand to hear. Rijvi Selva Raj is a passionate writer and an avid blogger who can write about anything under the sun. Give her a topic and a thesis is done! When she is not writing something, you can either find her spending some ‘quality time’ with her dog, wall climbing, practicing yoga or reading from her treasured NOOK at a quietly tucked away café. Startuprad.io Brings to You Latest Startup News From Germany! Heyyy Lets You Do More Than Just Meet New People!! Get ‘Call Levels’ For Simple Market Alerts! What People are Reading Now? Thank you for subscribing. We'll keep you posted. © 2017 StartupDope Media LLC. Reproduction without explicit permission is prohibited. All Rights Reserved.